Gypsy Dining Rooms, is my top pick in Jodhpur, Rajasthan for a great traditional Rajasthani thali (a range of interesting flavours served on a large tray/plate). 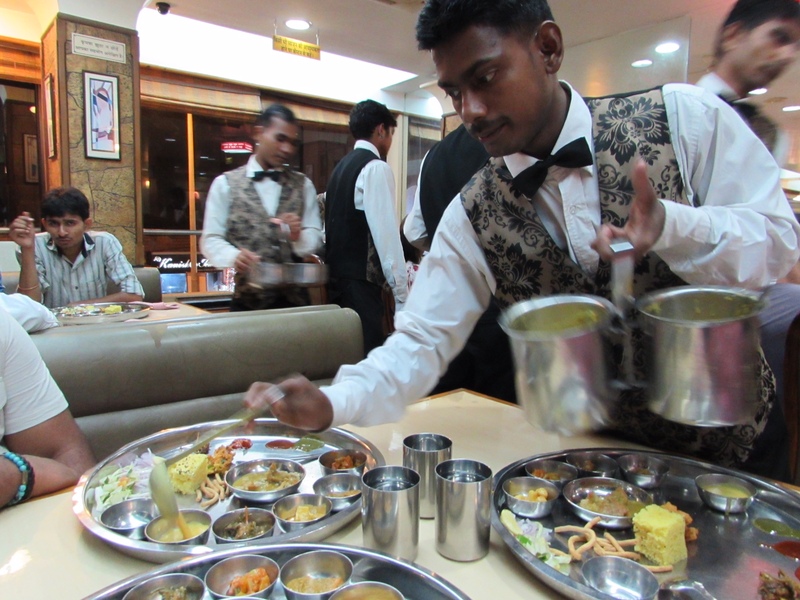 Waistcoated waiters buzz around refilling all the thali components, each assigned different dishes to deliver to eager diners. Clearly it’s a very popular spot with locals. 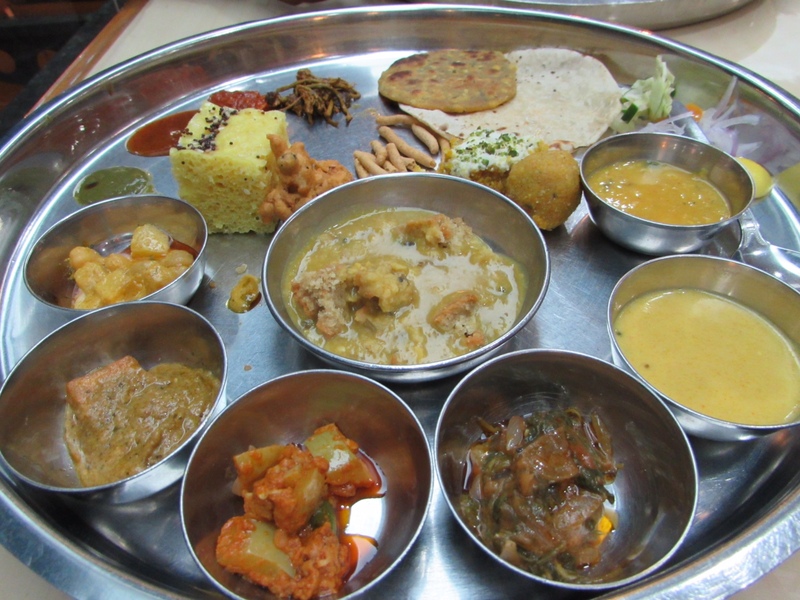 Dishes and accompaniments included: yogurt and chickpea curry, dal bati churma, desert vegetable from the kesari tree, paneer, dal, paratha, millet roti, chapati, spinach dish, zucchini dish, special bread from Gujarat, sweets, chutneys. Not just a great opportunity to try a wide range of traditional vegetarian foods, but a whole dining experience to more than rival the famous Maharaja Rajasthani Thali at LMB Restaurant in Jaipur. Highly recommended.